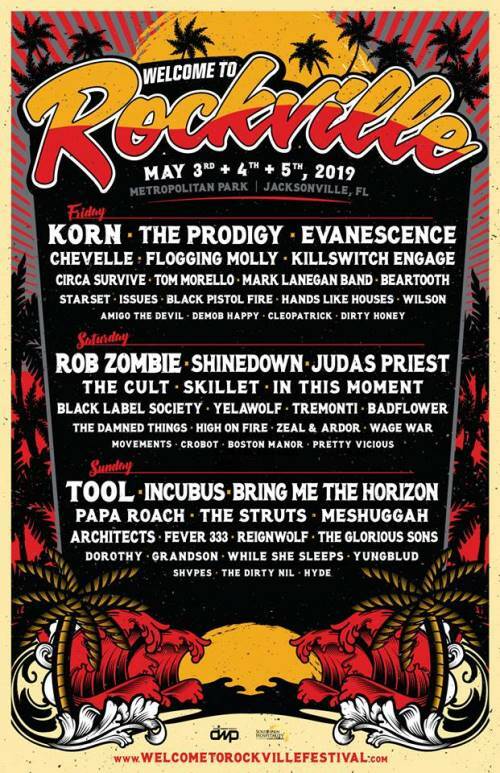 The lineup for the ninth installment of Welcome To Rockville has been announced. The festival will once again be held at Metropolitan Park in Jacksonville, FL beginning on Friday, May 3rd and concluding on Sunday, May 5th. Tickets go on sale this Friday, December 7th beginning at noon EST.